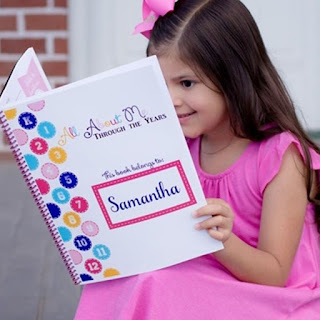 Head over for this Personalized School Years Memory Book $12.99 (Retail $32.99). You will love your new Personalized Yearly Interview, it's a super fun way to document so many milestones. They are custom with matching color coils; we have 20 trendy hues to make your notebook look even more adorable (most only offer in clear, black or white coils). We will select coil color to match the design selected. $3.99 for the first item and $1.99 for each additional item. US only. Ships no later than Fri, Feb 23.